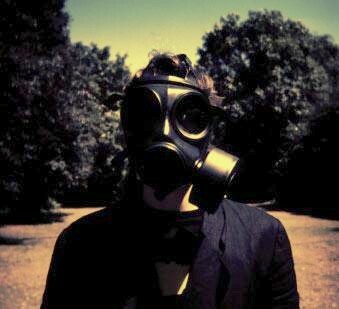 Further to my recent post about Steven Wilson‘s fantastic album Insurgentes, there have been developments. For those fancying themselves as a budding remixer, Wilson has made available material from the opening track, “Abandoner”; go here for more info and the audio stems—there’s also a very nice, mellow remix on there by Engineers, well worth checking out. Of rather more interest, though, is that there’s finally an alternative for those who missed out on the initial deluxe 2-CD edition, limited to 3,000 copies. Of course, if you really want to, it’s possible to find copies on eBay, but you’ll end up paying in the region of £150-200 for it. On the other hand, the Japanese edition has recently been released, on an HQ CD, with a 40-page booklet, and—crucially—the second CD containing the additional tracks not available elsewhere. There don’t appear to be many copies floating around yet, but prices are much more reasonable, around £40-50. For two such auctions, simply look for ‘Insurgentes’ on Ebay or just go here or here, or if you want to save even more money (but may have to wait longer), take your chances with cdJapan here. And finally, an HD version of the new “Harmony Korine” video can be seen here. As will have been obvious from my two “Best of” posts at the end of last year (here and here), i’m very taken with the work of sound artist Steve Peters. 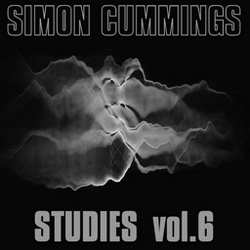 i’ve been spending a lot of time with his work of late, and one release has particularly impressed me in all sorts of ways. Peters is clearly a composer with both an acutely sensitive ear as well as an innate sensibility to the contexts in which sound occurs; nowhere is this better illustrated than in Here-ings. Heavy radiance: Tu M’ – Is That You? Netlabels are a curious phenomenon. On the one hand, they’re rather like havens for creatives to inhabit, artistic agglomerations producing wildly (un)predictable output; on the other, their surprising dedication to giving music away free of charge seems to have abandoned any hope of remuneration for creative endeavour. It’s hard to see them as the future; for now, at least, they’re fascinating and very useful; a gift horse into the mouth of which i have no intention of looking. Some netlabels have made the mistake of becoming stylistically typecast (e.g. one – and a feeble style at that), while others seemingly vanish overnight (the most recent being Nikita Golyshev’s excellent Musica Excentrica, that one can only hope returns soon). The best, however, chart an altogether less predictable path through territory that is often radical and challenging. Crónica is one of my favourites, a netlabel combining physical and digital releases, some of which are free, alongside some curious accompanying paraphernalia (or, if you prefer, art) and interesting podcasts. i said before that there’s more to ambient than washes of sound, but of course this kind of texture is, for better or (more often) worse, very closely associated with it. Thankfully, having spent too many years trapped in the saccharine world of (God help us) “chillout” music, ambient’s potential for drift has grown up into something very much more mature and meaningful. In no small part, it has been affected by what some might regard as its nemesis: noise. It might be fairer to call the constructions found in noise walls of sound rather than washes, but these two extremes have been drawn together to forge something utterly new. i suspect, like most ostensible “opposites”, they’ve had more in common than was immediately apparent; both noise and ambient tend to place emphasis on broad gestures within long durational expanses; both tend to occupy dynamic extremes; and, of course, like any extreme, both have fallen prey to the moronic mumblings of the talentless who have purloined the style in the hope it might bestow upon them the illusion of something approximating ability. 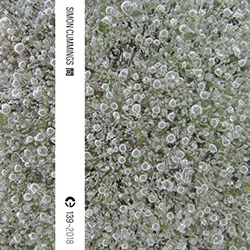 As a texture, noise is unavoidable, so for it to lend anything of value to ambient, it is going to need to be softened and tenderised, in order to retain some semblance of Brian Eno’s “ignorability” (the inability of the listener to “ignore” noise (in Eno’s sense of the word), perhaps explains why poor music in that genre is so incredibly irritating, whereas poor ambient is a mild irritation at best).